Join us for Game Day on the 2nd Sat every month. 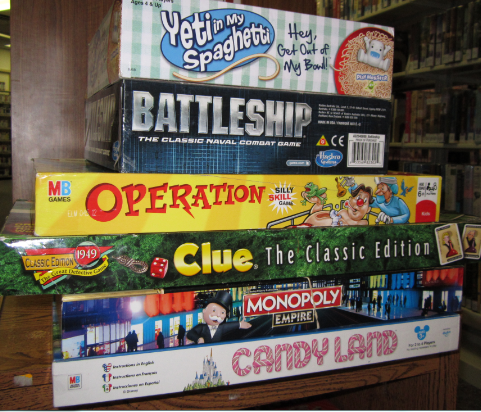 Many FUN family, teen and children’s games to choose from plus TOYS for the little ones! All ages are welcome! Drop in anytime from 2 pm -4 pm. For more details call the library at 231-276-6767.